You are here: Home › [Quiz] Win Flipkart Coupons! Update: The quiz has ended. Results will be announced soon. Update 2 (4/26/2013): Check the answers here. It’s been a while since I posted something on Knowledge Hub. Not that I didn’t want to, but because I was not able to find time. However, in this period of no activity, the blog kept getting visits and comments from you all. Some of the regular readers also messaged me on Facebook and on Knowledge Hub’s page to see if all was fine with me! To all of you, Thank You So Much! But before we proceed with the quiz, let’s define some rules for a fair play. Follow These Simple Rules To Win Flipkart Coupons! Each question carries 5 points. You either get a 5 or a 0. You can get 2 bonus points by sharing this quiz on Facebook and/or Twitter. To be eligible for bonus points, the privacy setting of the post must be public. Three people with the highest score will win Flipkart coupons. In case of a tie, winners will be decided through a lottery (using random.org). The quiz ends on 24th Apr (Wednesday) at 11:59 PM. Correct answers will be published on 25th Apr (Thursday) along with the names of the winners. Multiple entries may disqualify your participation. So, now that we are clear with the rules, let’s get started! but, http://www.abc.com, https://www.abc.com, https://abc.com will get rejected. This is a bug and I am working with my hosting provider to fix this. But till then, request you all to follow the format mentioned above. Hope you had as much fun in taking this quiz as I had in creating it! 🙂 You might also want to check a quiz we held in the past on our website, and one that we had on our Facebook page. Flipkart is not associated in any way with this quiz. The questions are not entirely created by me, I referred various sources to come up with these questions. In future, we’ll host some quizzes on our Facebook page, exclusively for our fans. So, join us on Facebook if you don’t want to miss those! 6 Responses to [Quiz] Win Flipkart Coupons! 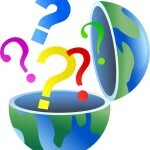 Good quiz, covering different aspects of general knowledge.